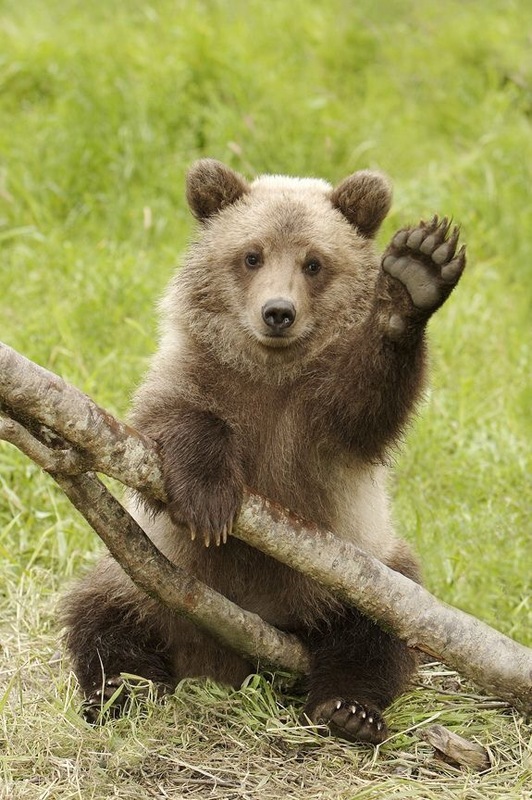 Our bear wasn’t this cute, or this small, or waving at us…. Every now and then I wake up in a cold sweat remembering this day. I’ve been seeing a video of a bear climbing into a tree right beside a hunter who is perched in a hunting blind. The guy is remarkably calm. Here’s how I behaved in a similar situation.